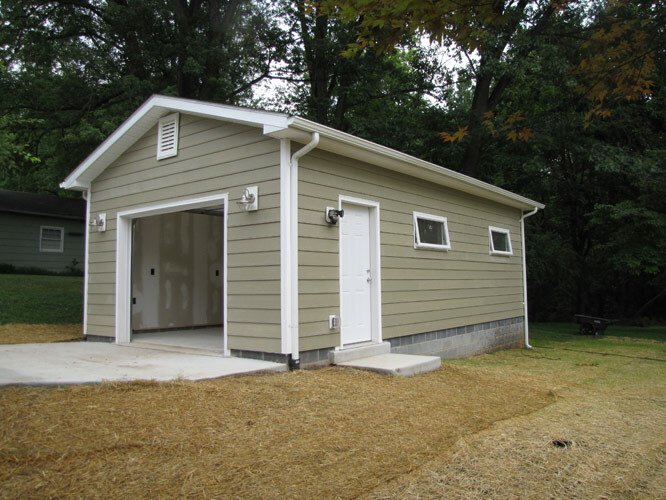 This is a detached garage that we built in Rockville, Md.. Size is 16′ x 24′. Siding used was Hardy smooth 7″ beaded. Shingles are 30 year architectural type. Concrete used was 3500 PSI 6″. Customer intended use was for car and motor bike repair shop.